Want to make clothes or cosplay that lights up, react to sound, or uses 3D printing? 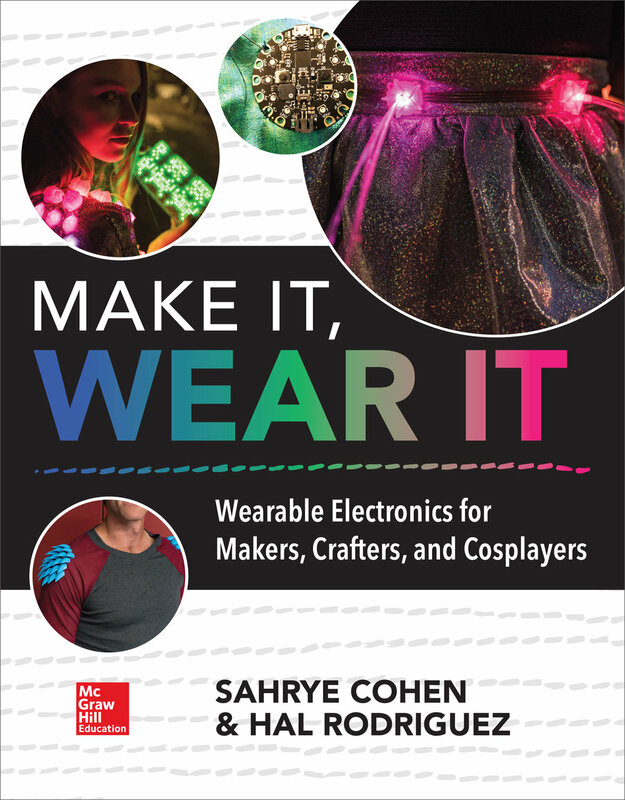 Our fun new book has easy-to-follow projects that show you how to design and make fashion-forward wearable electronics using sewing, crafting, and electronics techniques. Create your own stylish, electronics-based wearables―for all experience levels! The projects in the book have sewing patterns, laser-cutter designs, 3D model files, and software programs available as downloads from our book website, as well as the publisher's website. 3D files are also available on Thingiverse and YouMagine, or you can have the models printed by Shapeways.